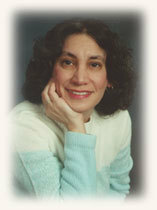 Roni is a member of New Jersey Romance Writers (she served as its president in 2016); Romance Writers of America; and the Authors Guild. Roni lives in northwest New Jersey with her family, including their dog. She is also a realtor at Jersey Success Realty, a company she and her husband own. She served on the board of her local animal shelter, Noah’s Ark, for eight years.